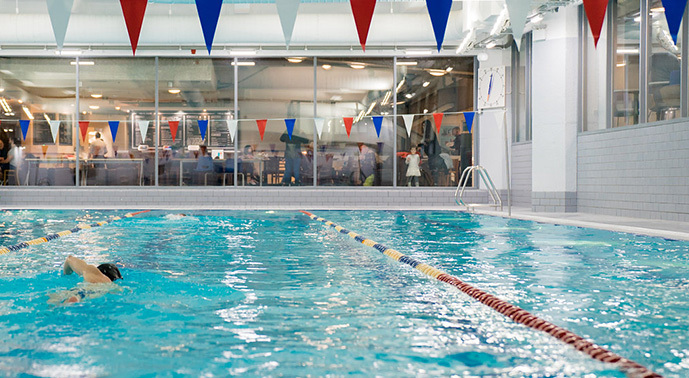 Our Swimming Club is open to adults of any age. If you’re seeking the competitive edge to improve your motivation and dedication, it may be just what you’re look for. The Club is affiliated with the London and Middlesex Amateur Swimming Associations (ASA) and partakes in a minimum of six galas each year. In addition to the competitive element, the galas and training itself offer a wonderful way to socialise with like-minded people. So rather than making a splash and dash, why not stay and have a post-exercise drink with your teammates? After all, fostering camaraderie and team spirit may make all the difference when it comes to the relay races. To join the Swimming Club, we’d recommend that you are able to swim freestyle comfortably and are competent at one other stroke. The training sessions will develop your technique, fitness and physique, ensuring your perform better for longer.